Ever heard of Ghost Employees before? Today I was on a call where there was discussion about "Ghost Employees". To provide a little bit more context, the discussion was in regard to Time and Attendance. Being that I haven't worked a lot with Time and Attendance, I was led to wonder how this term came to be. Ghost Employees are employees that don't exist. A supervisor will complete the necessary paperwork, gain approval to recruit and then direct their paycheck into a bank account for which they are the beneficiary. The employee doesn't exist and fraudulent timesheets are completed. Since being in this role, I have talked to businesses about employee timesheet fraud (time theft), but this really takes it to the next level! The US company I was talking to has created a punch clock that uses facial recognition to identify the person who is clocking in or out. As I understand it, the technology is so accurate, it can identify identical twins. There is some pretty cool technology out there. 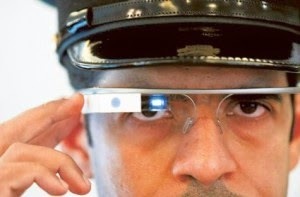 The other thing that interests me is an application using Google Glass. When a supervisor sees an employee they will be provided with information regarding things like punctuality, hours worked through to pending leave requests. I'm not sure how far away from market some of this stuff is, but it's well and truly on the way.